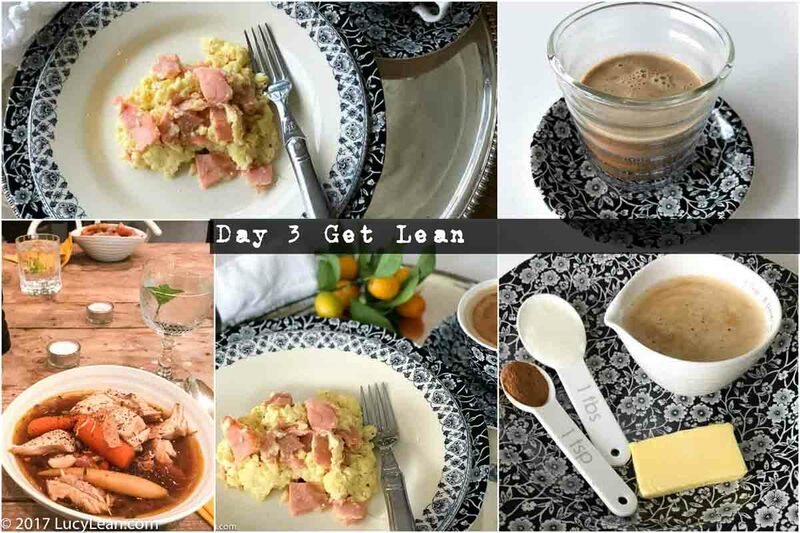 Day 3 of Lean Luxury and I’m feeling good, how about you? I have a buzz on from my first ever Butter Coffee. It might just be the cure for those carb and sugar cravings that have derailed my efforts in the past because it fills you up and tricks your body in all the right ways. I’m also singing loudly at the top of my lungs – HOW LUCKY WE ARE TO BE ALIVE RIGHT NOW… tonight Rémy and I are going to Hamilton. I’M NOT GOING TO WASTE MY SHOT! I saw the show in New York and have been desperately playing the lottery to win tickets and share this extraordinary musical with Rémy. YOUNG SCRAPY AND HUNGRY… Given that tonight is game 7 of the World Series with the Dodgers I thought it would probably be a good night to get good seats for less than usual at the Pantages Theater. JUST YOU WAIT…. WHAT”S YOUR NAME MAN? ALEXANDER HAMILTON! Yesterday I had a friend comment on Instagram, “Am I missing something – How is Panna and Parfait part of any diet?” Well I guess that’s the point of my 40 Day Delicious Diet – it’s more Lean Luxury deliciousness and less about diet – I actually don’t like the word diet as it instantly implies restrictions which leads to craving the things you can’t eat and then sabotage with a carb pig out! So a dollop of whipped cream on top of an espresso is 100% part of this Lean Luxury diet as it tastes great and satisfies – and parfait made with full fat creamy rich organic Greek yogurt from Straus Family Creamery layered with fresh raspberries makes the cut with bells on – it’s filling, packed with protein and most importantly delicious. There’s a massive misunderstanding about fat and sugar and carbs and weight loss that I don’t want to get into here given that I’m not a nutritionist and this is just a diary of what I’m doing during this 40 days. Think of it more as me documenting my experience; I’m a guinea pig in my own science experiment. I’m determined to get healthy and I need to drop a few pounds (I’m already down 2!) and this is how I’m choosing to do it. 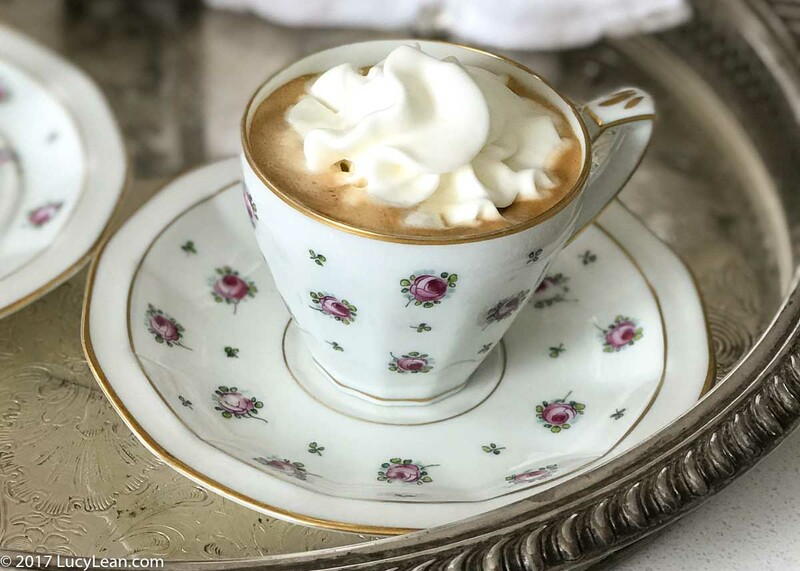 The “no panna, no parfait” comment did get me thinking, which lead me down an internet rabbit hole that led me to some online write ups about Butter Coffee. It sounds like Harry Potter’s Hogwarts Butter Beer to me. There’s quite a cult following for this morning concoction that promises weight loss, metabolic turbo boost and brainiac super powers. (Sounds like Hamilton drank this stuff every day of his cut-short life!) 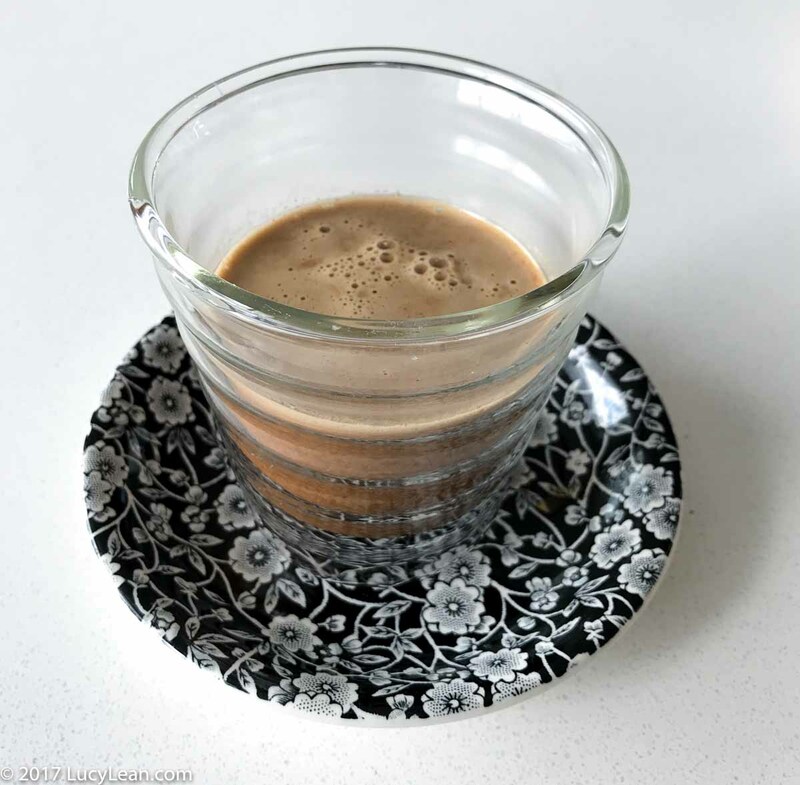 So this morning after my hike at around 11am I decided to experiment with my second coffee of the day and make a Butter Coffee – or Bulletproof Coffee as it’s also known. So here’s what I think of this drink (recipe below): it’s very rich and I can see why people love it. It’s amazing at staving off cravings and gives you a slight buzz from the caffeine. Apparently all that fat means the caffeine is released slowly – not sure I’m buying that but I did like it. It’s not oily or icky but silky and rich and extremely satisfying. I added the cinnamon (apparently it’s another great metabolism booster) plus I like the flavor but it did add texture to the drink that some may not like so by all means skip it. 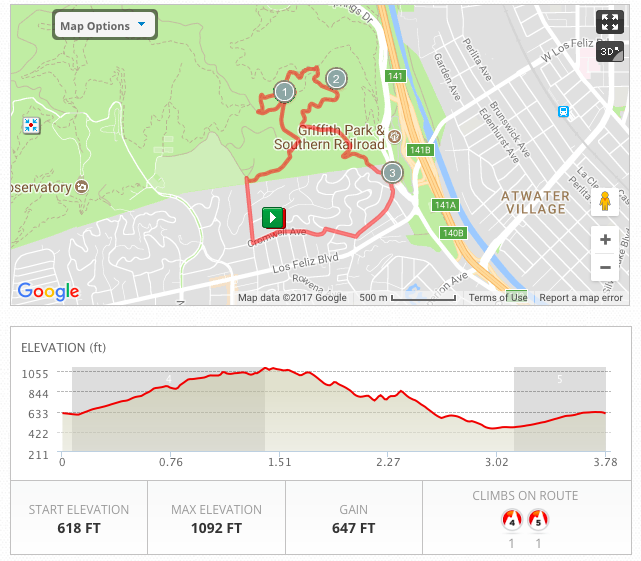 Will I do it every day? I’m not sure but I will definitely make it again and I think it will be a go to when I start climbing the walls craving hot buttered toast and my old favorite Squirl Kumquat and Rhubarb jam! 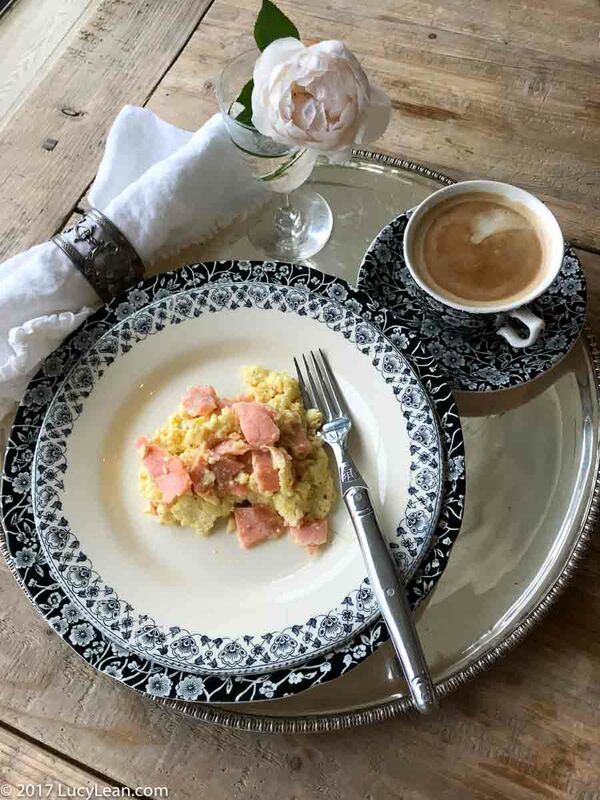 Today’s breakfast had the added bonus of being shared with Didier so I made us scrambled eggs with smoked salmon. Crack the eggs into a medium mixing bowl and whisk until completely yellow and combined. Add the tablespoon of water. Heat a small non-stick pan over medium heat and add the butter. When the butter has melted and beginning to froth pour in the eggs and using a spatula stir from the outside edges keeping the mixture moving but also allowing the eggs to form curds. As the eggs come together but are still slightly runny (about 2 minutes) add the smoked salmon. Remove from the heat and stir. The eggs will continue to cook in the pan until you plate them. Divide between two plates and serve immediately. Place all the ingredients in the blender and blend until the butter has melted and the mixure is light, frothy and emulsified (about 30 seconds). Pour into a cup and serve immediately. To be honest lunch rolled around and I was still feeling so full from my scrambled eggs for breakfast and butter coffee at elevenses, as I belted out SATISFIED with Angelica, music was my food of love. 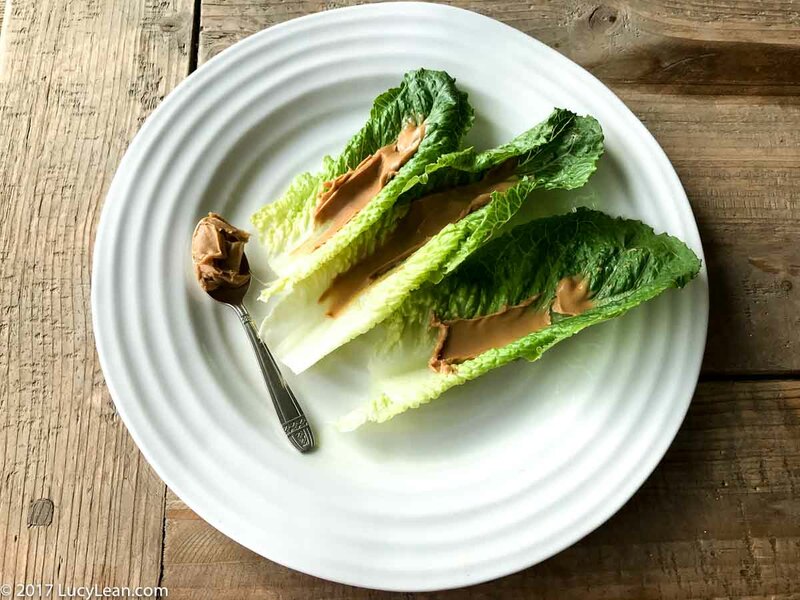 But I know it’s bad to skip meals so at 3 o’clock I took 3 lettuce leaves and smeared them with a little peanut butter. 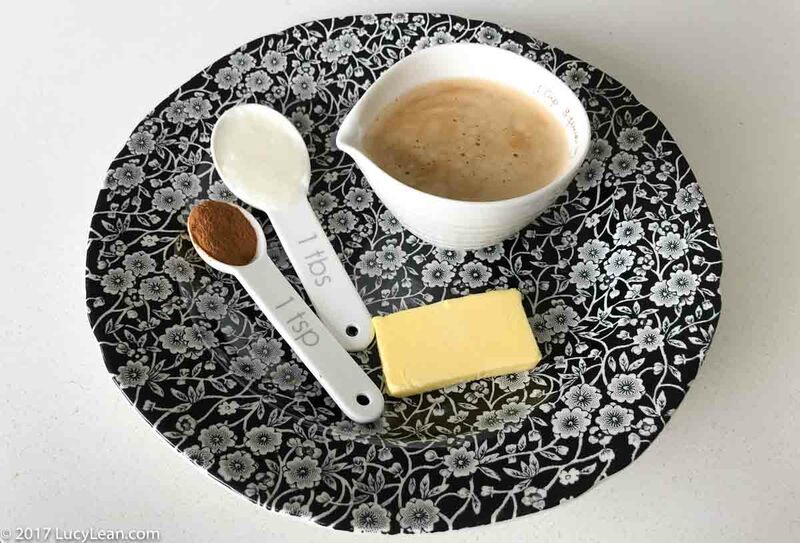 The teaspoon was a silver find from a Provence market, does this elevate it to Lean Luxury? You bet it does! This soup is a variation on a family favorite – Tom Colicchio’s Chicken Soup from MADE IN AMERICA. Here I’ve added glass noodles and parsnips – I also like to eat this soup over a bed of arugula rather than adding the noodles if you want less carbs and more greens. Put all the ingredients apart from the noodles in a large saucepan with about a cup of water (you want to liquid to cover the chicken breasts and vegetables. Bring to a boil over high heat and then reduce the heat and simmer for an hour, stirring occasionally. Add the noodles and let soften. Remove the chicken breasts and cut or shred the chicken and return to the broth. 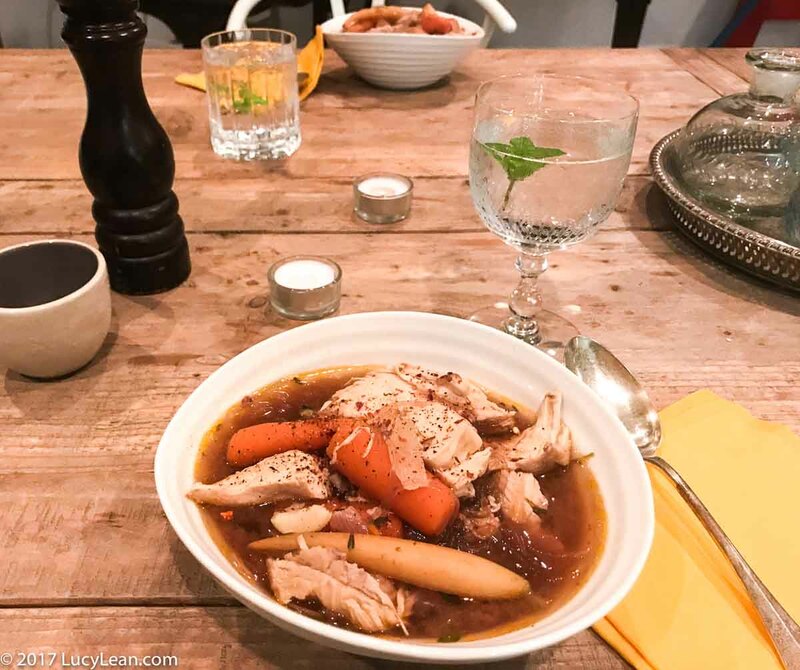 Serve in large bowls with lots of black pepper and chili flakes (spice is a great metabolism booster) and enjoy the steamy delicious soup with slurpy noodles. You’ve got this Lucy! Excited to follow your 40 days.